Hi! Today, I am excited to step up to the plate in an ongoing blog hop about the process of writing that has featured many of our members from Authors' Cave! I was tagged by Regina Josephs, who writes the Alterran Legacy Series. I loved her first book, Colony Earth and how she mixed futuristic science fiction with an ancient civilization. Great twist! You can read my full review here. You can check her out at http://www.alterranlegacy.com/home.html. Thank you Regina, for including me along with these talented authors! I am currently working on The Dark Days - Dark Beginnings, the 4th episode in the loosely-based Hunger Games prequel series. There will likely be one or two more episodes to follow. I am on the last chapter and hope to release in July! Super excited as I think this is my favorite in the series, and I can't wait to get it out and see what readers think! I actually write across genres, so maybe that's how I'm slightly different, although I know many authors do. I also write with a partner, Christina Keats. Quest of the Hybrid and the Aurora Conspiracy prequel series bring together many elements. It's young adult, light science fiction with a dash of romance, mystery, time travel and conspiracy theory and history. There's a little something for everyone, yet the story remains cohesive. Several of our reader reviews have highlighted this in a positive light. Even readers who don't typically enjoy what they think of as "science fiction" have enjoyed the Aurora series because it offers so much more in the story with Jesse searching for her mother who disappeared, and also finding herself having feelings she never thought she'd have. The Dark Days series is dystopian, keeping with The Hunger Games. What happened to cause the formation of only thirteen districts? That was what I wanted to know. Suzanne Collins left it wide open for the most part. At the beginning of episode 1, the main character Claudia is on an airplane, flying to see her brother who is getting married on the end of the world day. End of the world day was established because an asteroid is heading toward Earth, but everyone assumes the government will destroy it before it hits. Well...not so much. They strike it and it becomes three masses, two of which hit Earth and cause the sea level to rise a mile. The series explores how the districts form and how society turns against law and order under a dystopian universe and will ultimately lead up to the first game. This one is simple. I write what I love to read and watch. I was inspired by Spielberg at an early age with Raiders of the Lost Ark, spoiled on the incredible adventures of Indiana Jones. The scene at the beginning when he tries to escape with the gold head piece, where darts are flying, skeletons are scattered everywhere and gigantic boulders are rolling-I was hooked for life and wanted to create something magical like he did. In Quest of the Hybrid, there is a scene where they are trying to get out of the Giza pyramid that has a lot of "Indiana Jones" salt and pepper! I write and paint because the creativity bug that lives inside me will cause me to need a straight jacket if I am not creating something, anything, but it has to be happening. We've been lucky to get to know these amazing characters from the Aurora series so well, they pretty much tell us the story and Christina, my writing partner and I, just spit it out. It literally spews at times. They get angry when we let their story sit too long. Typically, I start with a timeline as a story starts to build inside my head. I won't put anything on paper, until I have a decent path. Then, I seriously start with good old notebook paper, draw a line down the page and start making tick marks along the line of where things may occur. Once that has some meat, then I start layering. New projects are harder because you are still getting to know your characters. We are on the 5th episode and 2nd book for Aurelius and the Proctors, so we don't have to ask as many questions, but when we first got to know them, we had to ask a lot of questions about them to form their personality, rather we ever wrote the stuff into the story or not. What are their likes, fears, quirks. Are they superstitious? After the timeline, we go to messy sheets. Christina and I will brainstorm and throw everything we can think of onto what we call the messy sheets. We have messy sheets for each character and each episode. We keep adding our thoughts and ideas until eventually, it explodes and by the time we go to add it to the storyline, a good chunk of it is already created. Then we add the dialogue, which usually sounds hidious the first time around. The best solution Christina and I have found for dialogue and flow, is to read a loud. Once we think we are done with story edits, we read it a loud and find all the other stuff you have to hear to know it's right or wrong. This part is aways a blast. Our expressions when we stumble on things that aren't right is usually worth a laugh. "They wouldn't say anything like that!" We have just added Grammarly to our process. After everything else is done, we run the manuscript through a proofing program called Grammarly. It highlights the errors we have missed and also checks for overused words, which is wonderful! It will provide suggestions, too! Then, there is the marketing, which no one knows when they decide to write a book, how much time marketing will take! It's honestly 80% for me. Shoot, I started the Book Review Depot (which is now Authors' Cave) because I needed to find a way to get reviews! Whoa, did I gain so much more than that! I have a world of friends who share in the writing experience with me-PRICELESS! 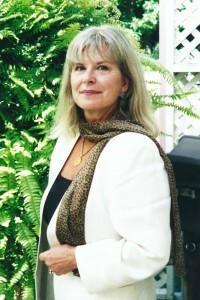 I have had the wonderful pleasure of meeting Dianne Harman through our writers group. She draws her stories and characters from a diverse business and personal background. She owned a national antique and art appraisal business for many years, left that industry and opened two yoga centers where she taught yoga and certified yoga instructors. 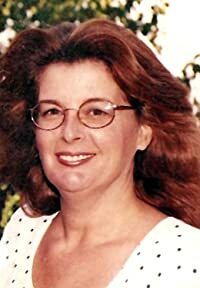 She has traveled extensively throughout the world, most recently dividing her time between Huntington Beach, California and Sacramento, California, where her husband was a Senator. 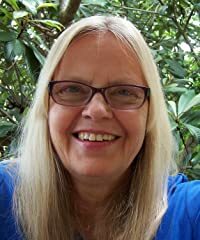 An avid reader, Dianne brings the richness of her life experiences to her novels, Blue Coyote Motel, Tea Party Teddy, Coyote in Provence, and Cornered Coyote. p.s If you enjoyed this post, please click the g+1 button below or reshare so that others may enjoy it, too!